Romani brings art from all walks of life to please the masses for our third year! Our Traveller's Marketplace features local, national, and international artists. We host a variety of artists, (ranging from traditional medium original art, large works, jewelry and handmade items, street art, and more) in both Romain Gallery and next door at Badlands! Featured artists include Dissent Design Works, Jackie Cox, Figgy Fox, Drub, Nathan Dance, and more. More details to come, stay tuned for updates! If you are an artist interested in participating in the Traveller's Marketplace, please email us at gallery.theromani@gmail.com. gay-themed artwork, and pieces from gay icons! Special guests The Sideways Grimace, a Hedwig Tribute Band, will be performing selections from 'Hedwig and the Angry Inch' as an acoustic duo. A portion of artwork sales to benefit the all-volunteer, non-profit Austin Pride organization. This event is free to attend and runs through Saturday, September 20. Visit therawkshow.com for more information. Big thanks to our friends at Deep Eddy, Ampersand and Printpop! Romani Gallery presents Gypsy Faire! Every other month, local musicians, artists, artisans and performers join forces to create a magical night of art, music, and entertainment! Artists are invited to vend their work, $25 per table, with a maximum size of 6' (bring your own table!) Each vendor will also have a 6' wide area of wall space behind them on which to display work. 1. 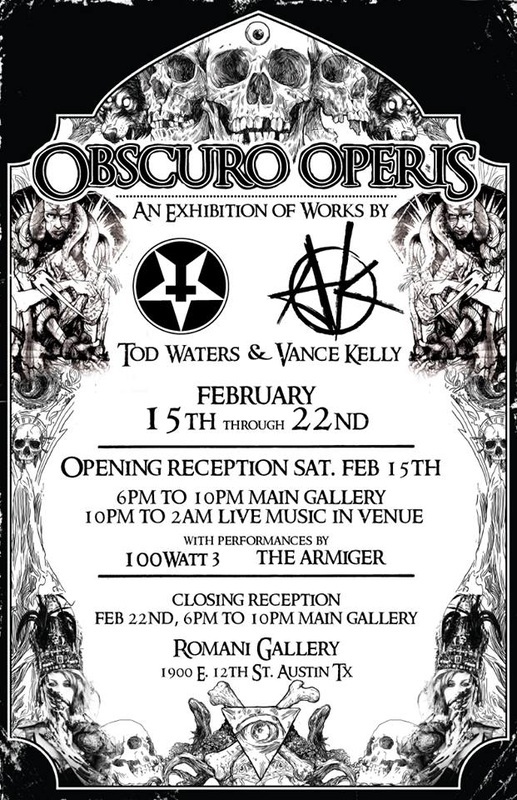 Email Romani Gallery at gallery.theromani@gmail.com to reserve a space, with "Gypsy Faire" in the subject line. Please include the name you would like to be listed on the event page in your email. 2. Send payment for reserved space via PayPal, or schedule an appointment to come by the gallery. 3. Once payment is received, you will be added to the artist list. 4. Get your items ready! 5. A few days before the event, you will be sent a confirmation email with load in times and any other important information. Musical entertainment provided by Amanda Hickey & The Bruises! Romani Gallery is proud to host artist Frank Suchomel for an exciting evening learning the basics of cartomancy and tarot! This new course will be taught by Frank Suchomel. Instruction will include a limited edition tarot card deck and manual designed by Frank, which is yours to keep. During the evening, Frank will give a basic introduction of the tarot deck, explanations on the meaning of each card, as well as instruction on how to perform a reading. He will be giving live demonstrations of an actual reading, and then each participant will have the opportunity to practice what they have learned by performing their own readings with others! Please contact us at gallery.theromani@gmail.com with questions, or to sign up for the class. Please include "Tarot" in the subject line. Check out Frank's artwork on Facebook!! 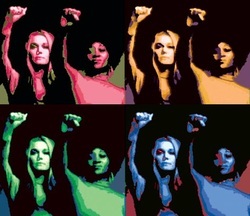 "It Ain't Nothin' Without a Woman's Art!" 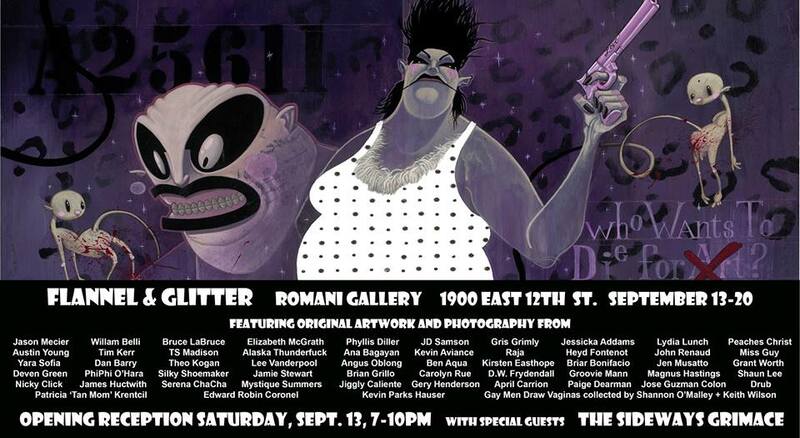 Romani Gallery presents an all female showcase of art! We want to feature female and female identifying artists in all their glory! Opening reception will be Saturday, July 26, 6-9pm. Exhibition will run for one week, July 26-August 1. 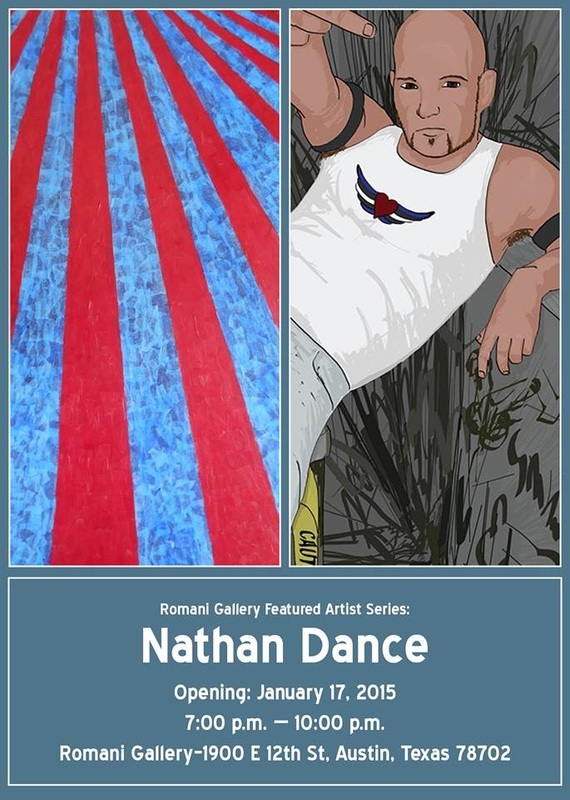 In our first of many upcoming featured artist exhibitions, Romani Gallery resident artist Jason Matthews will be showing a collection of new works and favorite pieces at Romani Gallery July 5-11. We are celebrating his two year anniversary of his rediscovery of his love of art! Original works and prints will be available. Opening reception July 5, 6-8 pm. Refreshments and beverages will be served. A Texas native raised in the Austin area, Jason has spent most of his life exploring and looking for new experiences. He has worked as an executive producer on a cable access program, manager of Southside comics and in a Special Investigation Unit. He’s performed marriages and interviewed people on a toilet for TV. In 2012 he returned to art, his first passion and is developing new techniques inspired by television such as adapting animation development process to fine art. In addition to Art, life and everything, he is also working on a series of blog posts geared toward breaking down the mystery of Art and empowering people who have no experience with Art to begin their exploration. You can see more of his art, and read up on his process breakdown atwww.studiotricktop.com. 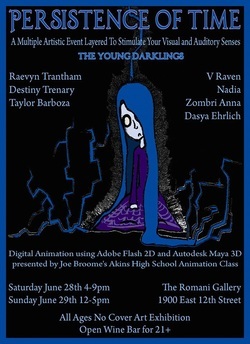 So many great artists in Austin TX and this year we will be showcasing our fabulous young darklings! For most of these artists this will be the first time showcasing their work. This is the first time working with such young talent, it was a challenge to find these gems so please come out and support, We all would really appreciate it and you will not be disappointed! a little bit of everything so come check it out. "Proud Mary" Romani Gallery is hosting an opening reception on Saturday, April 26, 6-9pm for the upcoming "Proud Mary" exhibit. 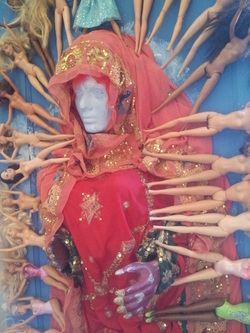 The theme of "The Virgin Mary" will be showcased and explored, in all her glory! All forms of art will be showcased, from 3D collage, to paint on canvas, the sky is the limit! Exhibit will run April 26-May 8. Join us for a night of performance art, live painting by Chris Rogers, music, food, special guest appearances, and a few surprises! Frot Vodka-"Partying For the Greater Good!" February 8, 9pm-2am, at The Romani Gallery Annex, located behind The Romani Gallery. 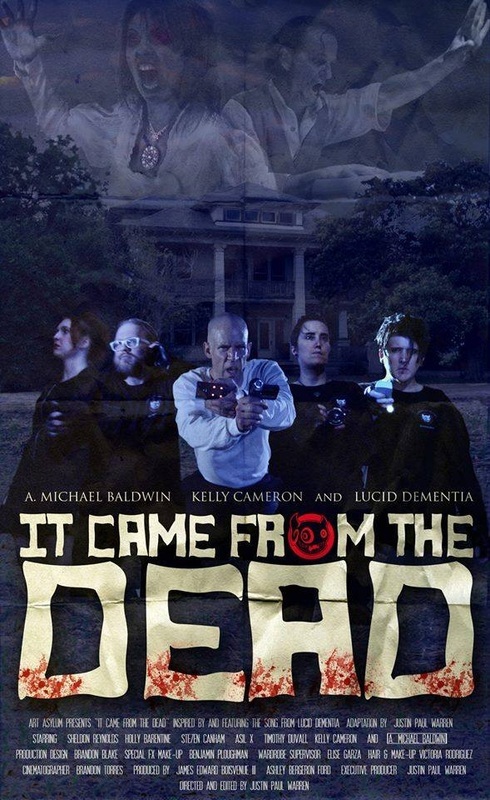 This is the official release party for their much anticipated music video "It Came From The Dead" directed by Justin Paul Warren, & featuring A. Michael Baldwin from Phantasm! Lucid Dementia will be performing a full show (at 11:30pm), including a live synced performance of the song "It Came From The Dead" along with the video! This is a BYOB event, however, free booze will be provided by Lucid Dementia (while supplies last). DJ Shane Black, Romani's house DJ, will be spinning Industrial mayhem! The Romani Gallery is hosting a WINNER'S exhibit for the 2013 winning artists from the RAWards in Austin AND San Antonio! Join us for the last exhibit opening of 2013! The Romani Gallery & Rogue Gifts are proud to be participating in the 12th annual East Austin Studio Tour! EAST is a free, self-guided tour that champions the abundance of talent within Austin's large and wildly diverse creative community. The public is invited to discover new artistic talent, see working studios, learn about artists' tools, techniques, and inspirations, and support the arts community by building their collections and supporting local businesses. Tasty treats provided by our sponsors Holly's Piehole!! We will also have the Wrap It Up truck on site to offer their gourmet wraps and breakfast tacos on site!! ART, MUSIC, REFRESHMENTS, OUTDOOR MARKETPLACE, FOOD, PERFORMANCES, AND MORE!! We will have an interactive art space with Julio Gonzalez from United We Art making prints and shirts on site! Chris Rogers will be creating his amazing paintings live, as well as painting our huge wall mural on the side of the building for everyone to enjoy! We also have Christina Barboza, Location Director at RAW:Natural Born Artists- Austin, teaching a DIY painting class! Wanderweird will have a booth in our marketplace, and will be doing some on site painting! Nona Howard will be presenting her short films Saturday & Sunday 5-6 pm! Kevin Rayhons will be presenting his projection work Saturday & Sunday 12-4 pm! Rama Tiru will be hosting a signing of her book "Austin: East of I35" on Wednesday, November 20th at 7:00 PM. Copies of her book will be available for purchase at Romani Gallery the day of the event. The gallery & store will also be open during the week Tuesday-Friday 11-6!